Like a lot of other good things in life, wound-healing is a process. You probably didn’t enjoy the events that earned you your cuts and scrapes, but when you do have them, you get to watch your body perform an amazing work. However, time doesn’t necessarily heal all wounds. If several weeks have already gone by, you might be left wondering about your open scrapes. It’s important for you to find out why your wound won’t heal properly and what exactly you can do about it. Your skin is your body’s first line of defense against bacteria. When the skin breaks, bacteria can then move from the outside to inside the body. 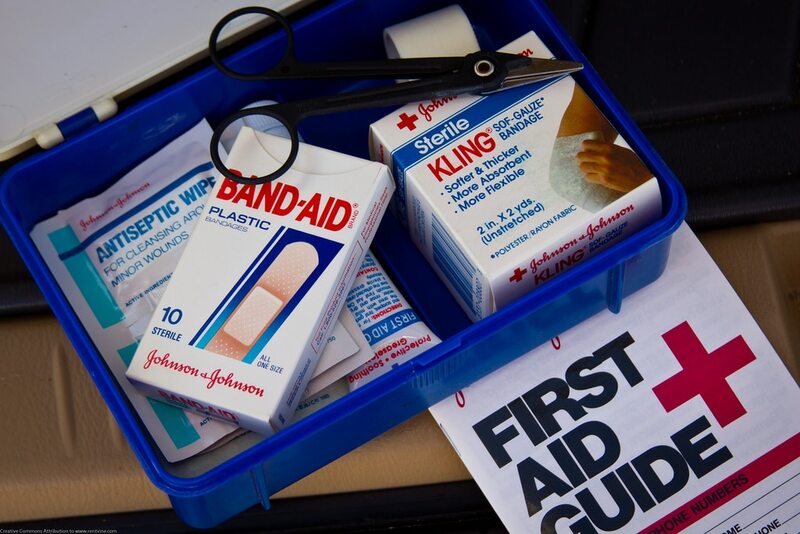 If the wound area gets infected, you may notice persistent redness, swelling, pain and an off-color or foul-smelling fluid. Are you getting enough fruits and vegetables? The vitamins in them help your body heal faster, especially vitamins A and C.
Make sure you’re eating foods like oranges, spinach, sweet potatoes and bell peppers to help your body do its job. You’ll also need plenty of lean protein along the way. Because of elevated blood sugar, diabetics have an increased risk for slow-healing wounds and infection. The high blood sugar can negatively affect your circulation and immune system. It can also damage nerves that signal pain, leading to more wounds simply because the diabetics don’t know when something is hurting them. If you notice slow-healing wounds regularly, they could be a sign of this disease, especially recurrent wounds on the legs and feet. Different medications could also identify as your culprit for slow wound-healing. Chemotherapy and radiation drugs have powerful chemicals that hamper your immune system, making the healing process harder. Antibiotics kill off good bacteria, increasing your risk of an infected wound site. In addition, anti-inflammatory drugs might inhibit the inflammatory stage that your body goes through in healing wounds. If you suspect that your medication is causing the problem, discuss your concern with a doctor. When your body is healing a wound, red blood cells are the ones that carry new cells to the site. In turn, they help form the foundation for new skin with collagen. If you have poor circulation, the blood will move to the wound site more slowly, delaying the healing process. You may have poor circulation due to diabetes, obesity, blood clots, arterial build-up or some other underlying condition. Bed sores (technically pressure ulcers) usually occur when a person is bedridden or immobile for long periods. For instance, a bedridden patient will have pressure on certain areas of the body that press up against the bed. That pressure can cause varying levels of sores, eventually leading to a gaping wound and infection if not cared for properly. Mild sores should go away quickly with regular relief and movement from those pressure points, but moderate or severe sores will need medical treatment. This bad habit gets worse when you consider all the health effects on your body, including slow-healing wounds. In one 2014 study published in the journal Alcoholism: Clinical and Experimental Research, researchers found that binge drinking significantly increases infections while hospitalized. Of these infections are surgical site wounds. According to the study, excessive alcohol decreases important white blood cells in the body that fend off bacteria. Venous leg ulcers happen when a wound on your leg is slow to heal. Many times, the ulcers occur because of poor circulation in the veins of the legs. Since the legs need a good push to get blood circulation back up to the heart, blood might tend to pool in the legs. In turn, the pressure can weaken the surrounding skin, causing problems with wounds and their healing. Venous leg ulcers often happen in bony areas like the ankles. Gently wash the area with mild soap and water. Keep the wound moist to prevent scabbing, which prolongs healing. The AAD suggests petroleum jelly. Keep the wound bandaged and clean every day. As long as the wound stays clean, you do not need antibacterial ointments. Follow any orders from your doctor, especially if you have stitches. In nearly all of these scenarios, you will want to seek your doctor’s advice. You should know that normal wound-healing can take up to 3 weeks, but you shouldn’t wait much longer than that to see your doctor. If a wound has not healed after a month, it’s time to seek professional help. Through the amazing process of wound-healing, your body has the ability to close a mild scrape or cut on its own. However, this process can be hampered for a variety of reasons. For instance, a scabbed wound may take longer to heal. In most cases, though, you will need to talk about your situation with your doctor. Protecting your body’s defense system is the best way to stop deeper problems before they get started.